Reimagine what’s possible with a Chromebook. 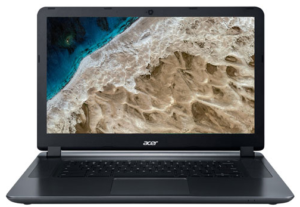 This Acer CB3 Chromebook boasts an impressive anti-glare 15.6″ HD screen, 1.6GHz Intel dual-core processor with 2GB RAM, and built-in webcam with HDR support. It also features 802.11ac wireless with MIMO technology — delivering quicker performance and making everything from online gaming to streaming video both faster and more reliable. It’s simply a steal at only $199.99 CDN, with free shipping.